Private Instruction & Yoga Therapy Sessions with Lori McCormick :: FUSION Yoga Studio Sacramento, Inc. The study of yoga began as a dialogue between teacher and student (one-on-one). At FUSION, we continue to honor that tradition by offering private yoga instruction as well as yoga therapy sessions to those students who are in need of individualized attention. Get assistance for your specific injury, limitation, or special need – learn modifications (how to adapt postures for your ability/condition and body type). Enjoy a Semi-Private Session with your spouse, family, friends, co-workers, or neighbors – split the cost! Rates are $75 for the first person, plus $10 for each additional student. For Private Sessions in your home or office: Email us at FrontDesk@FusionYogaSac.com or call (916) 922-9642 (922-YOGA) for a quote. 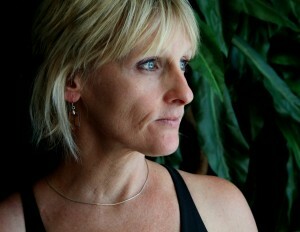 LORI McCORMICK (formerly Lori Moore) is the director and owner of Fusion Yoga Studio Sacramento, Inc. Teaching yoga and running a successful yoga studio has been Lori’s passion and full-time career since 2004. She has more than 13,000 hours of actual teaching experience and well over 500 hours of continuing education from various programs and workshops. Formally trained in the Ashtanga yoga tradition, Lori has studied with Ashtanga yoga master David Swenson, Seane Corn and Shannon Wells. She has also completed an Advanced Yoga Teacher program at White Lotus with Ganga White and Tracey Rich. Lori is also a certified Somatic Yoga teacher and was trained by founder Eleanor Criswell (a one-year therapeutic program) and is a Certified Yoga Therapist through the International Association of Yoga Therapists. Through her participation in various intensives, she continues to be inspired by many remarkable teachers including Gary Kraftsow (therapeutics), Judith Lasater, Doug Swenson, Shiva Rea, Ana Forrest, Erich Schiffmann, and many others*. She prides herself on learning and understanding the body’s dynamics having studied anatomy under Mark Uridel, Peter Ehlers (Tom Myers Anatomy Trains), and Joe Barnett. Additionally, she is an avid reader and has read several hundred yoga, anatomy, and meditation books, as well as relatable books on psychology, trauma, PTSD, depression, pregnancy, relationships, spirituality, and more that correspond to her students’ needs. Lori strives to be the teacher that she would want to learn from. While she has trained with many outstanding teachers, she has also learned through years of experience from her own personal practice. To this day, she maintains a consistent personal practice and believes it’s an integral part of her overall well-being. She finds it also serves as a source of inspiration for her teaching. For well over ten years, Lori has been training yoga teachers (training some of the best yoga instructors in the greater Sacramento area) and emphasizes developing teachers who are able to safely and effectively teach, not just lead, a yoga class. As a trainer, she works to help new teachers develop and share their own unique expression and interpretation of the practice, and continues mentoring them throughout their career as needed. Besides being a certified yoga therapist (C-IAYT through the International Association of Yoga Therapists), she is also a registered yoga teacher (E-RYT through Yoga Alliance), and is a certified Transformation Meditation teacher. She teaches on-going classes at Fusion and also leads workshops and retreats. She teaches students privately at the studio and/or in their homes (specializing in working with those with injuries and special health conditions, including stroke, auto-immune diseases, cancer, etc.). She’s taught on-going semi-private classes for Worker’s Comp patients that have been injured on the job in order to rehabilitate them so they can return to employment. She also teaches in corporate settings, and gives talks on the benefits and history of yoga. In her spare time, she enjoys creating art, golfing, music/concerts, playing the piano, wine tasting, cooking, practicing yoga, working out, reading, dancing, traveling, serving her community, adventure, working hard, having fun, and spending time with her family, friends, cats, dogs, and loved ones. * Lori has more than 15,000 hours of actual teaching experience, 500+ hours of continuing education from various programs and workshops, and almost 30,000 hours of experience in operating a successful studio. She is the former owner of My Yoga Lounge in Sacramento (2004-2009) as well as the owner and director of Fusion Yoga Studio Sacramento, Inc. (2009 to present), a single venue which houses three separate studios and healing room, and offers over 35 classes per week.